Los Angeles is one of the most written about cities in the world, particularly from an urban geography perspective. Perhaps because of its magnificent sprawl, its constant mediation through film, television, music and other cultural artefacts, or its postmodern-inflected anti-liveable layout, no other city in the popular consciousness has such an imaginary that combines enigma, fascination, frustration, confusion and awe all at once (although I suspect that Shanghai, Mexico City and perhaps Johannesburg are giving it a run for its money). One of the major reasons for my fascination with it is the way it has been so scrutinised through film. 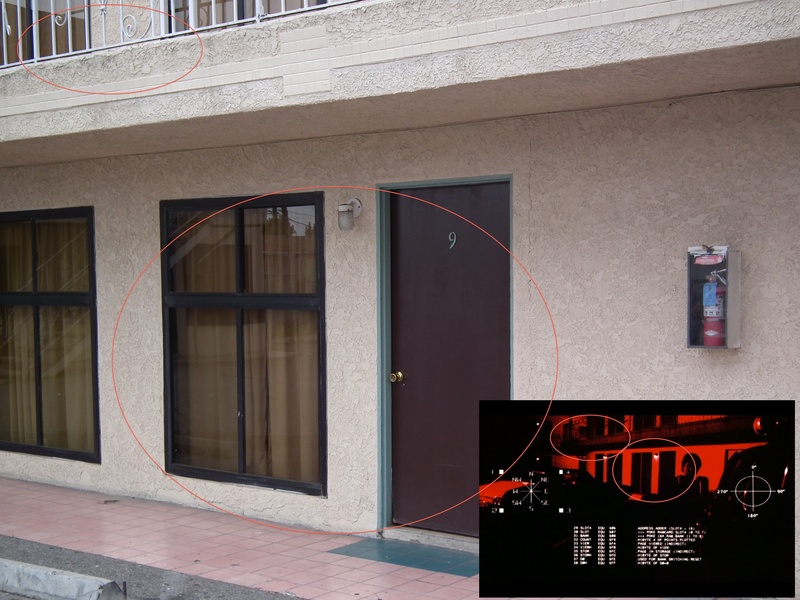 Masterpieces such as Pulp Fiction, Timecode and Collateral portray the de-centred, fragmented, multiple, nonlinear and alienating characteristics of the city fascinatingly. However, for me the Terminator films (and here I refer to the first two, not the bilious and soul-destroying detritus of Terminator 3 and Terminator Salvation) put Los Angeles firmly in my minds eye as a city of fascination and wonder. The films themselves do not necessarily have a narrative that ‘gets’ LA’s character, but Cameron has utilised the cityscape as a platform for thrilling action and compelling story-telling perfectly. 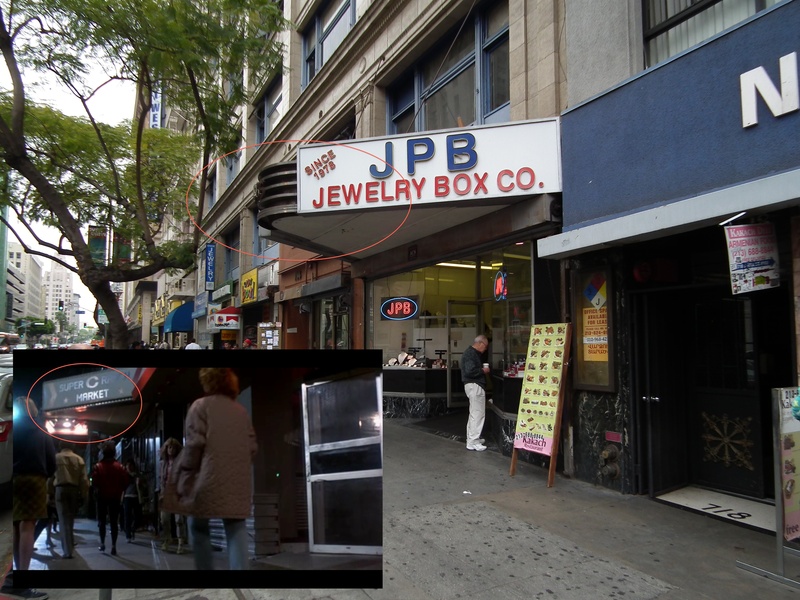 Therefore, in my recent visit to the city for the AAG 2013, I felt compelled to spend some time around the city, retreading the footsteps of Sarah Connor, Jon Connor, Kyle Reese and the Terminators. My initial thought was that someone must have created a ‘Terminator Tour’ of LA, but to my surprise, there were none. What I did stumble across though was this rather incredible site by Hervé Attia – the research into which made my journey very easy. I combined this information with some of the key locations from Terminator 2 to produce this map (and I threw in Nakatomi Plaza from Die Hard just for good measure). So, on the Sunday after the AAG (my last day in LA as I had to catch a flight to Sydney at 2350 that evening, hence the ending of the tour at the airport), I jumped in the car with Rupert Griffiths (a PhD student from my department), and spend about 10 hours driving the route on the map, ticking off each place as we went along. The video above shows our route – the video is a compilation of still photographs taken from a dashboard-mounted camera that took photos at 10 second intervals. The credit for this must go to Rupert for first of all setting it up, then dealing with all the technical difficulties and then editing it. It gives a fantastic perspective of ‘drifting-with-a-purpose’ through one of the world’s most car-intensive cities. 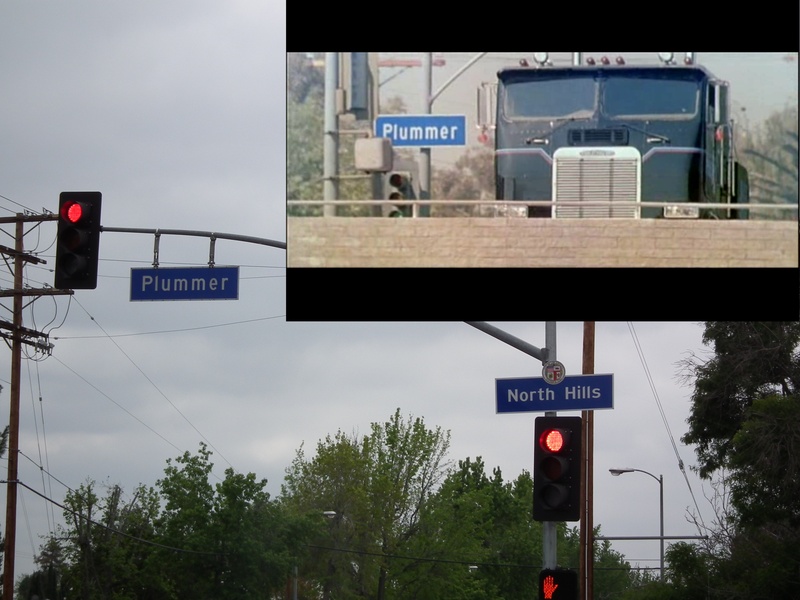 Anyway, the rest of this post is the fruit of my part of the labour – an attempt to juxtapose the photos I took and the related scenes from the Terminator films (and Die Hard). You can probably tell, I am no photographer, and without the actual films to hand, all the ‘angles’ of shot were from memory. And we ran out of time to do all of them (couldn’t get up to the Griffiths Observatory for example which is where the Terminator first appears). Also, lest we forget, these films are a quarter of a century old so the cityscape has changed somewhat (particularly downtown). But nevertheless, there was a great deal of familiarity which hopefully comes through. If you are as big a fan of these films as I am, there is no better way to spend a day in this most intoxicating of cities. I’ll go through the films chronologically, and your best bet is to click on each of the photos to enlarge it as the screengrabs from the films are quite small. 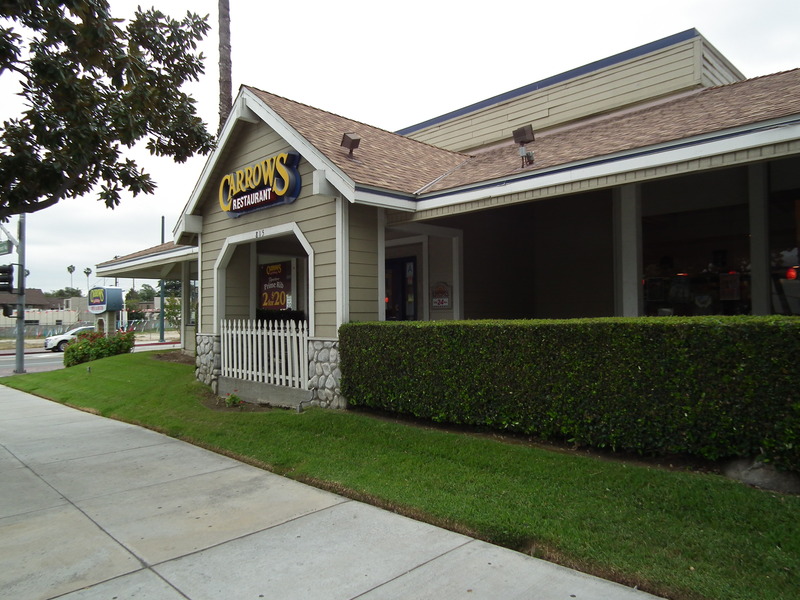 Set in the leafy area of Pasadena, is Carrow’s, which doubles as the restaurant Sarah Connor worked as a waitress. The exterior is rarely in shot, but the lead up to it is, as is the interior. The restaurant itself is rather drab, and the coffee was terrible (and sadly ‘Big Buns’ isn’t there). This one I was looking forward to a great deal, but sadly, has changed the most. There has been a lot of debate about whether this is actually the location or not, but there’s a very good analysis here showing that this indeed is the spot. 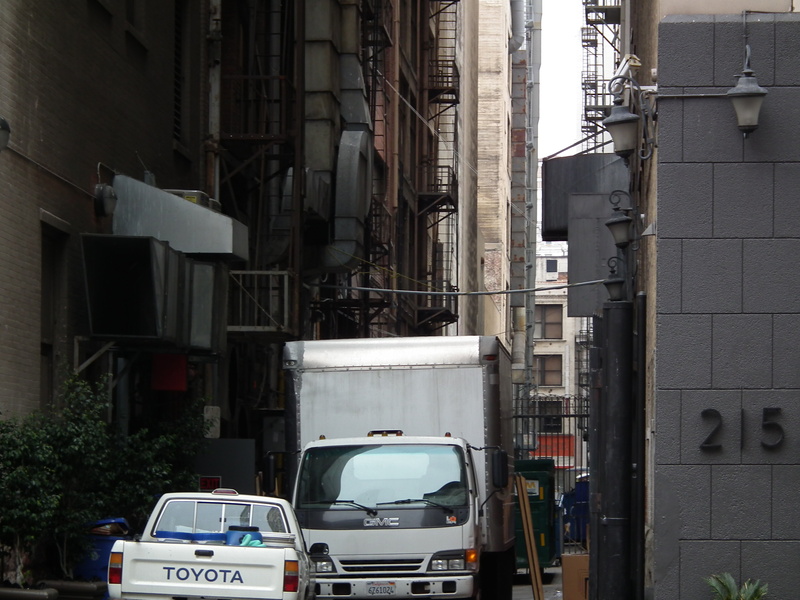 A lot of this part of downtown is used in the opening half of the film (the alley way pictured below is apparently used for multiple locations including Kyle Reese’s introduction and when the Terminator punches through the windsreen), however given the rate of change in such an area, and the banality of the cityscape used in the film, there are very few identifiers. 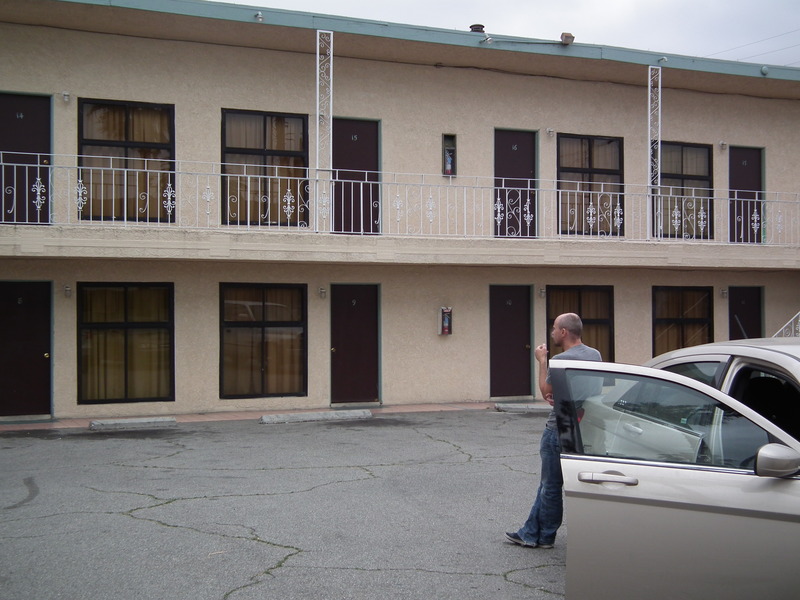 In the rather drab surroundings of Huntington Park in South LA, the Tiki Motel is as depressing as it gets in Motel terms – and that is exactly what Cameron was going for undoubtedly. 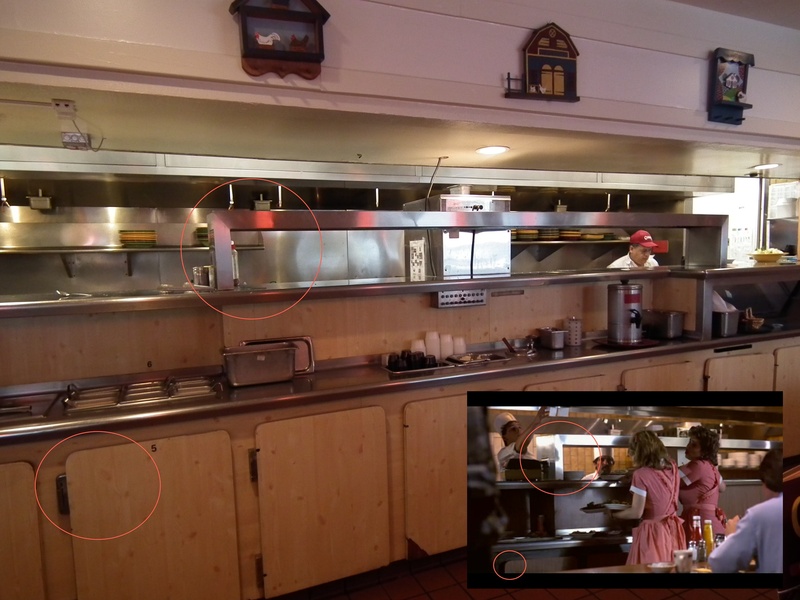 It’s a fascinating place, and remains fairly untouched since the cameras rolled in 1984. The receptionist wouldn’t let us in to Room 9 without payment, saying that they often get Terminator film buffs visiting, so why not cash in? I didn’t have any cash on me, so didn’t get a look in the room sadly. 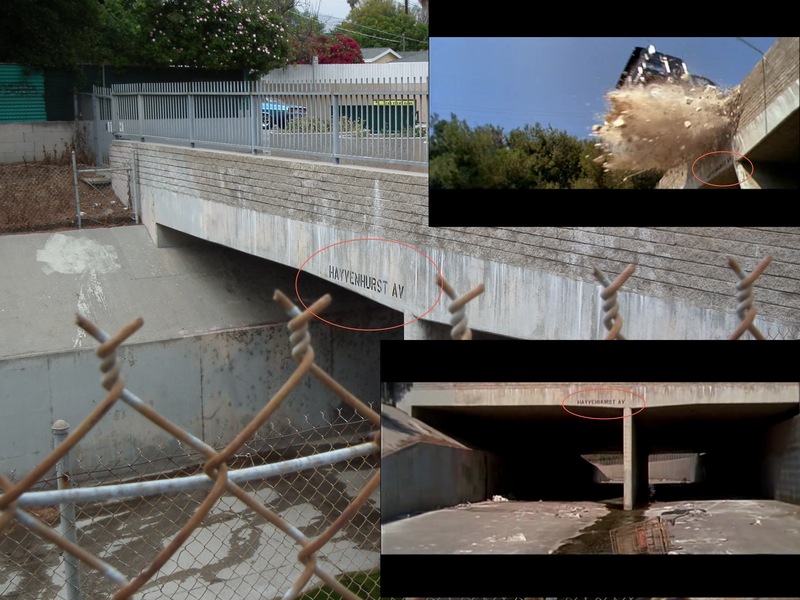 Both Terminator films have similar chase scenes in the Third Act, and in the first film, the 2nd Street Tunnel was the location for the main part of the chase from the first film. We drove through it early on in the day, and clearly it is nowhere near as long as the film makes it out to be. 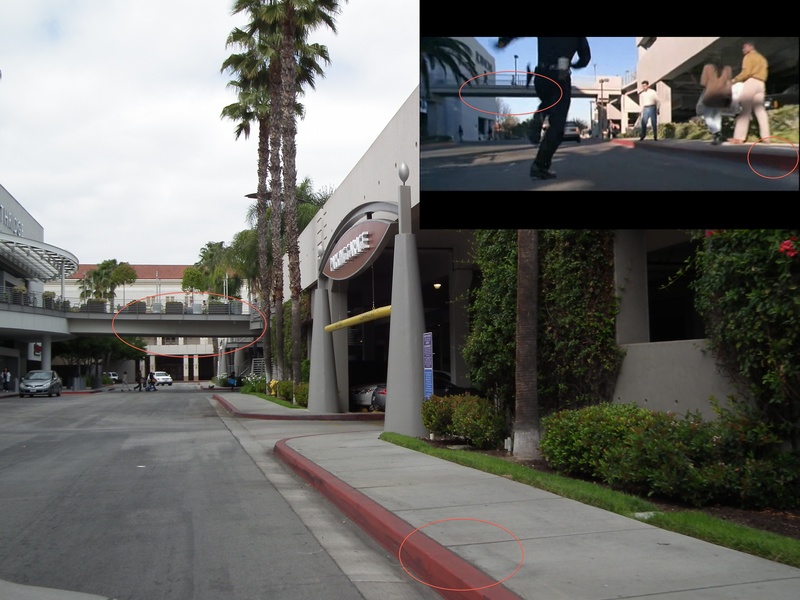 Prior to the truck chase (see below), we see the T1000 chasing John Connor out of the mall. There is not much to this one, and there has clearly been some development since. This one was surprisingly easy to find, right off the freeway. Again, not much too it, and we were getting some very strange looks from the people exiting the ‘liqour’ store, so we beat a hasty retreat soon after. 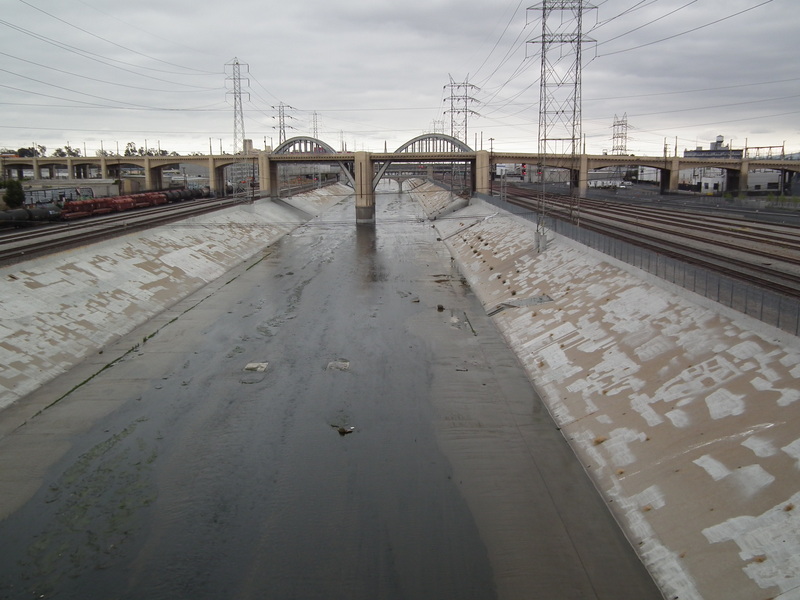 This is what Rupert and I were most looking forward to – the infamous storm drains of the Los Angeles River. They look stunning, and are one of the iconic pieces of LA’s urban geography. Their brutalist form, naturistic intentions but linear aesthetics make for a spell-binding location. 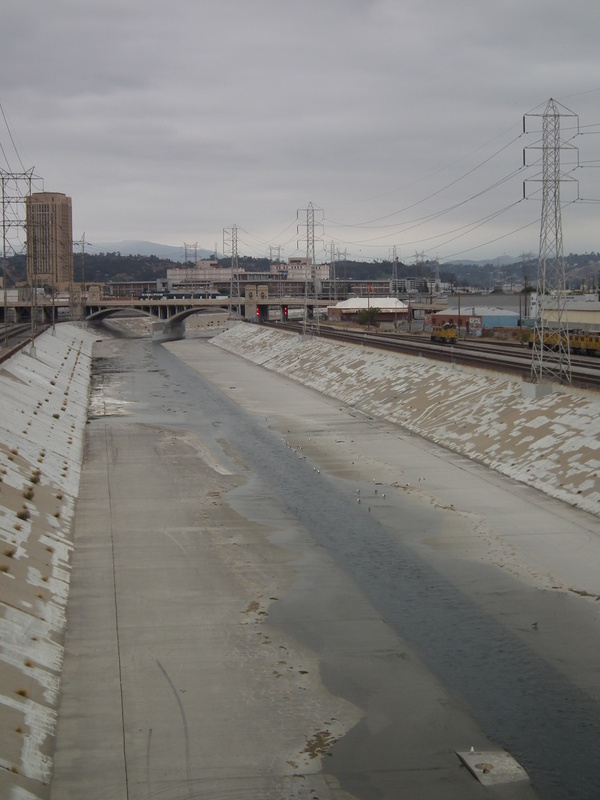 They rip through the LA sprawl culminating in the vast basin of the LA river just East of downtown. 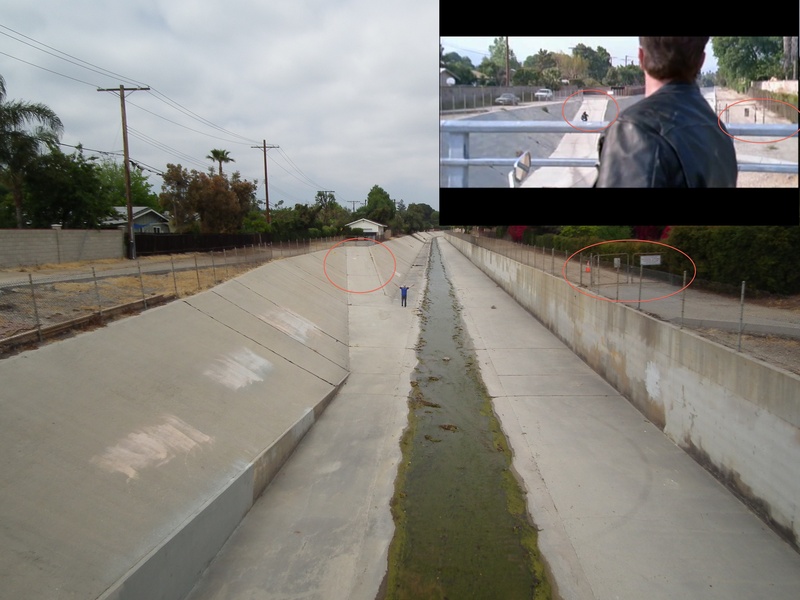 John Connor’s use of the storm drains in Terminator 2 are clearly part of his rebellious interaction with the city (as we found out, it is illegal to go into these drains), and the chase scene with the T1000 in the truck is, for me, one the most thrilling and (back then) innovative chase scenes of all time. We spent a bit of time photographing (and trying to get into) these drains, pinpointing the exact locations of some of the main bits from the film. We didn’t get them all, but were very satisfied with seeing the beauty of these drains. Hence, below are some of the locations from the film, and also some photos from the wider basin which has been the location for many many films and TV series over the years. 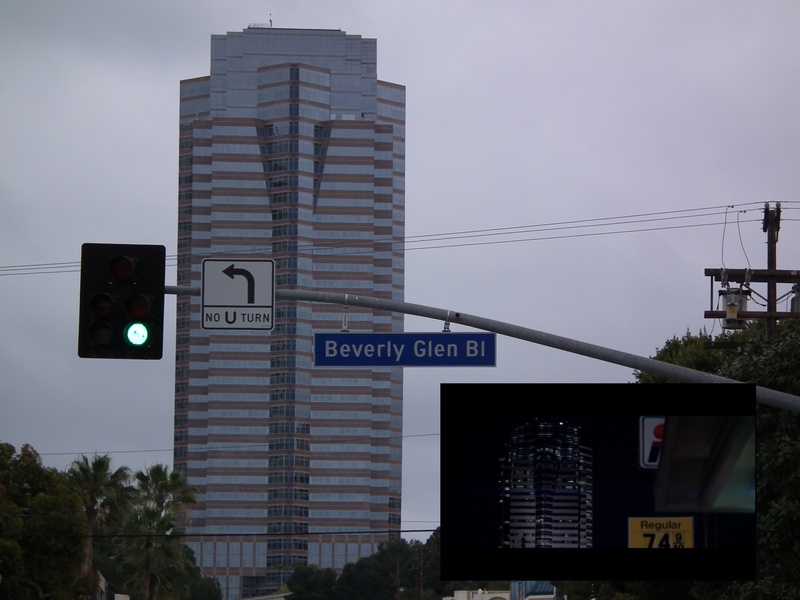 And finally, for good measure, what trip to the iconic movie locations of LA would be complete without a trip to Fox Plaza, the setting for Die Hard. We drove into the main entrance snapping away. 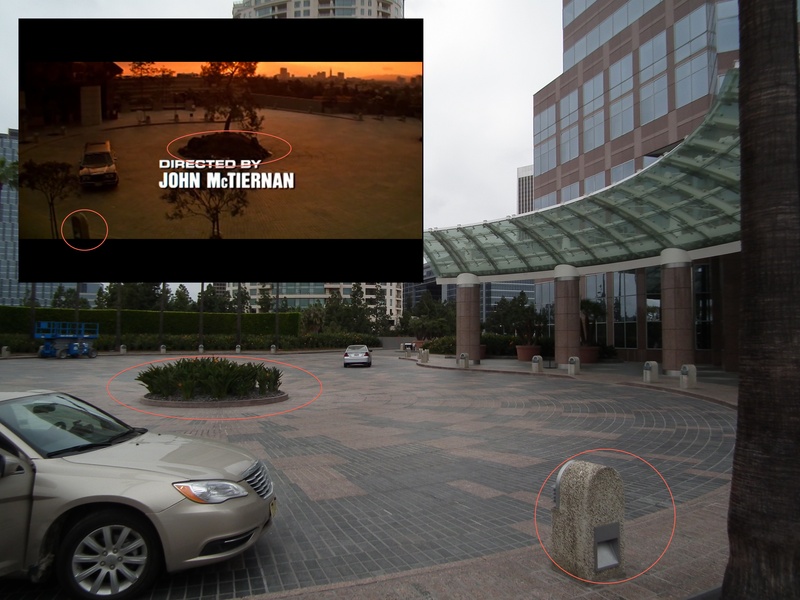 Someone was taking photos of our cars licence plate, and then a minute later, we were told to leave by the building’s security staff. Despite me telling them I was on a movie tour, they politely told us to move on or we’d be arrested. Given my flight was 6 hours away, we complied. But still managed to marvel at the building, and take a look up to imagine John McClean peering out a broken window, “welcome to the party, pal”. So there we have it. A short glimpse into what was a fantastic day spent snaking through the valleys of LA searching out locations that many visitors would probably never think of, or even want to seek out. If anyone else wanted to do the tour, I’m happy to impart more information, but not only did I get a sense of wonderment in retreading the steps of Biehn, Schwarzenegger and Hamilton, but I was immersed in the quotidian city, experiencing (what felt like) an unrepresented Los Angeles, which in many ways is paradoxical given that we were seeing movie locations. 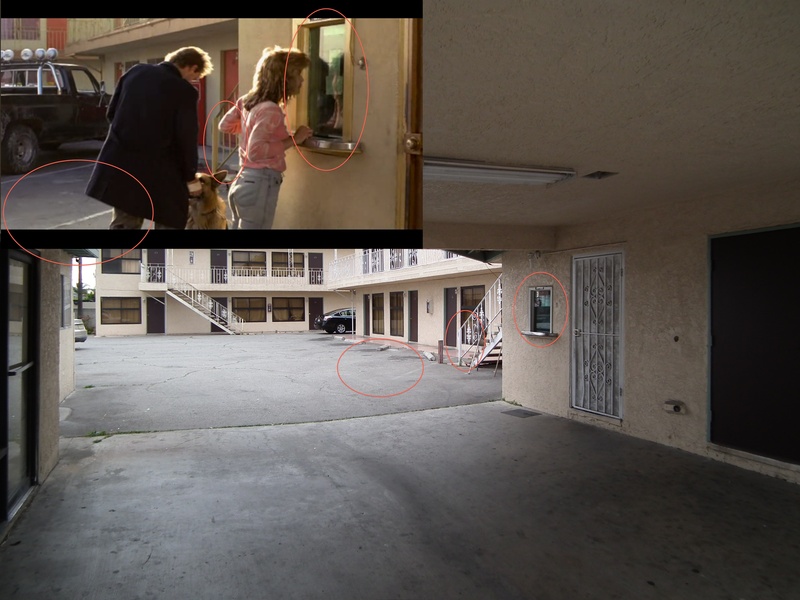 Because the Terminator films utilise (in the most part) banal places, the famous LA is never really seen – it uses the city as a stage rather than another character in and of itself. Therefore, by seeking out these rather dowdy, hackneyed and platitudinous places, we got to see LA as it really is – a sprawling conglomerate of chaotic happenings… beautifully urban. 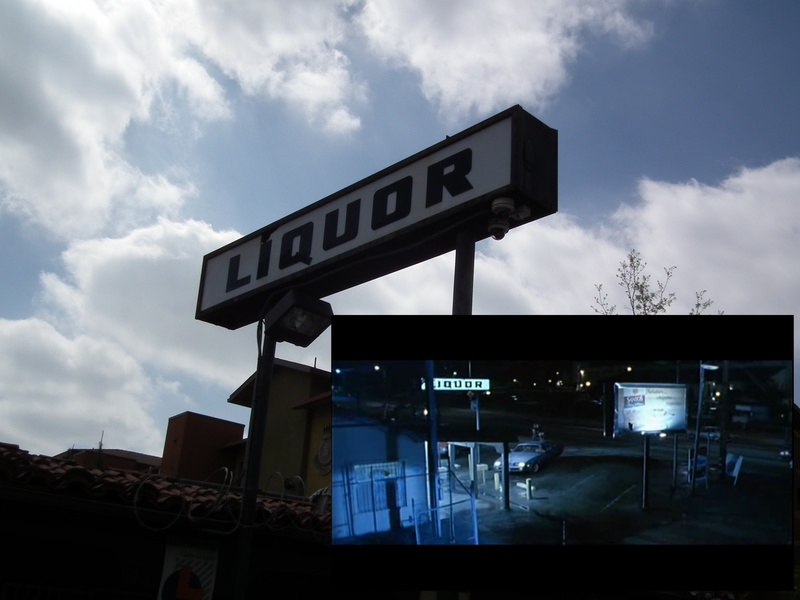 Categories: Films, Terminator Films, Urban Geography, Visualising Cities | Tags: Los Angeles, The Terminator Films | Permalink. Heh. This is great! Thanks for the memories and facts. 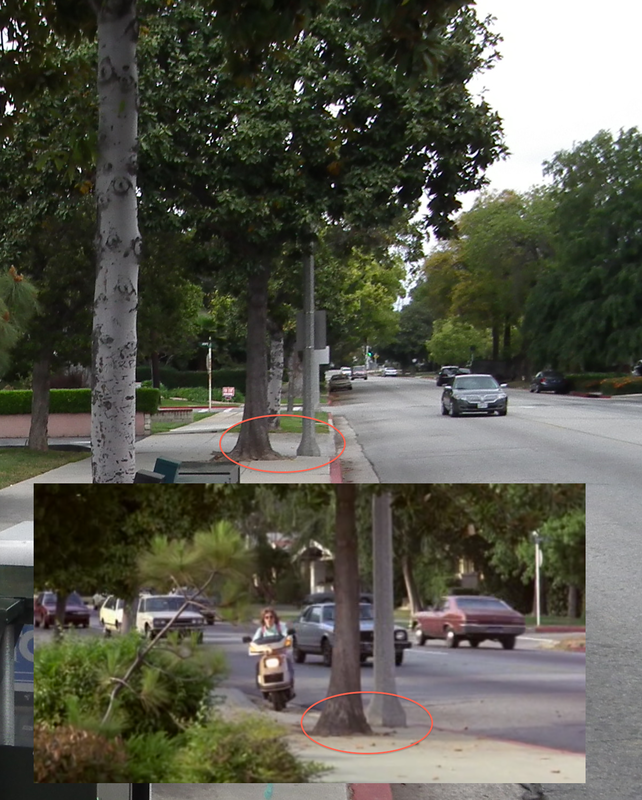 Awesome – definitely going to put Hayvenhurst Ave on my ‘must see’ list for when I visit LA soon, thanks for the info! Thank you so much Oli for this article, I’m a die hard fan for the terminator movis especially the first one and I have always fascinated of going to LA and checking the sites where the movie was shot especially the Restaurant and the Tiki MOTEL, its my dream to go there one day and its hard for me becuas I live in the middle east. Thank you again for living the ambiance of The terminator world and I really like the way you wrote this article.